The urban commuter who wants to stay connected to their digital life, without constantly stopping to check their phone. 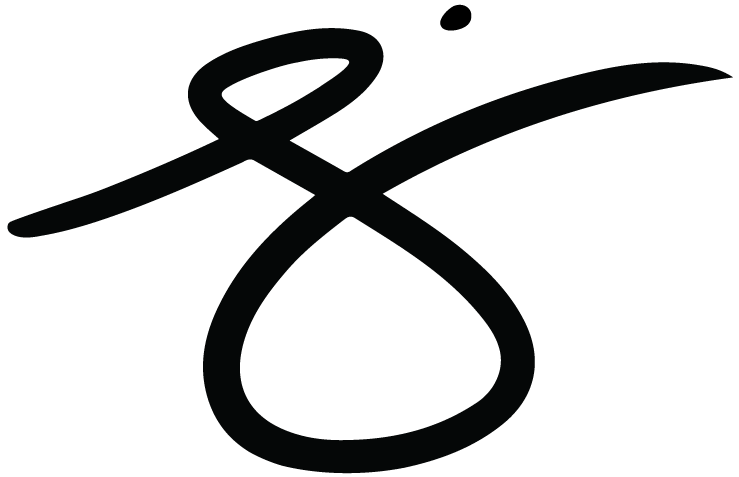 The platform consists of an app, tag, and partner brand's garment. 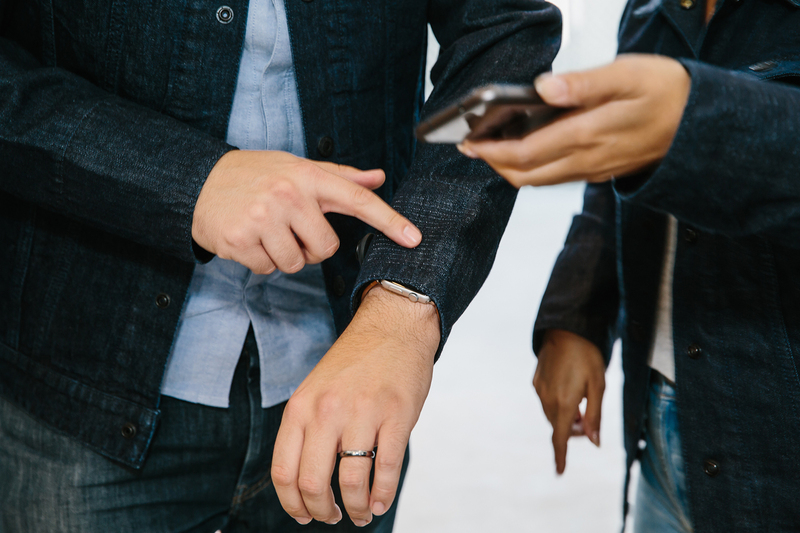 Using touch gestures on the jacket lets you stay connected to your digital world without disrupting what’s going on in your real one. Teach people how to interact with an augmented jacket. 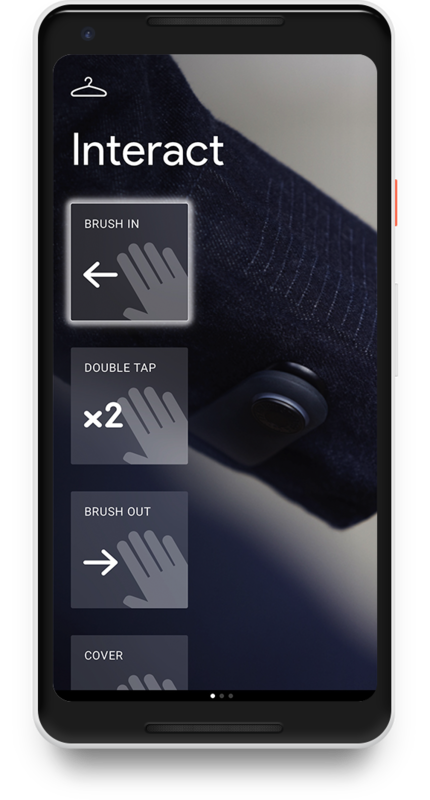 Create a seamless experience between garment and phone. 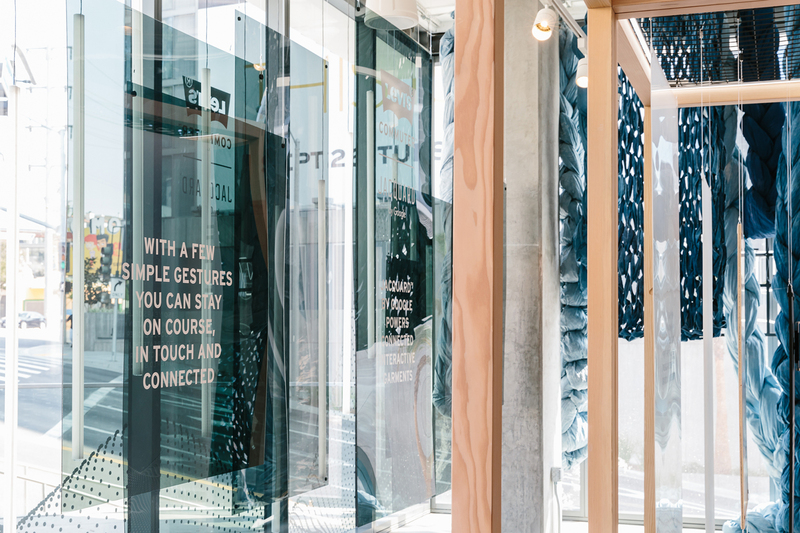 Jacquard's conductive yarns opened up new possibilities of interaction. A large part of my job was to design an experience that would teach people when and how to communicate with their augmented clothing. 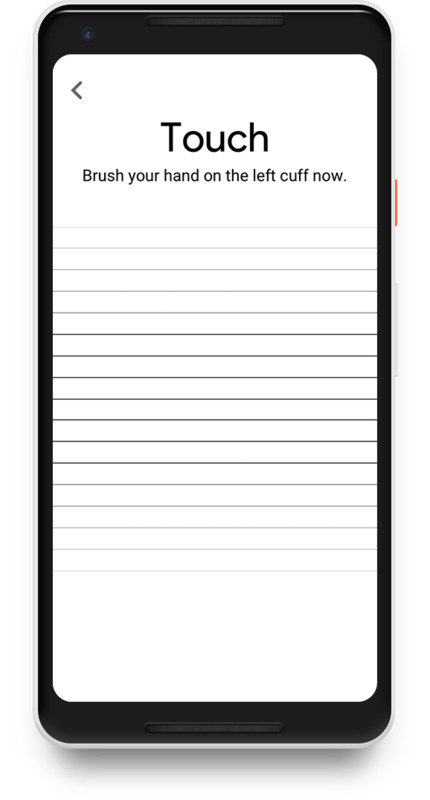 Given this, onboarding played a crucial role in the experience and introduction to the platform. 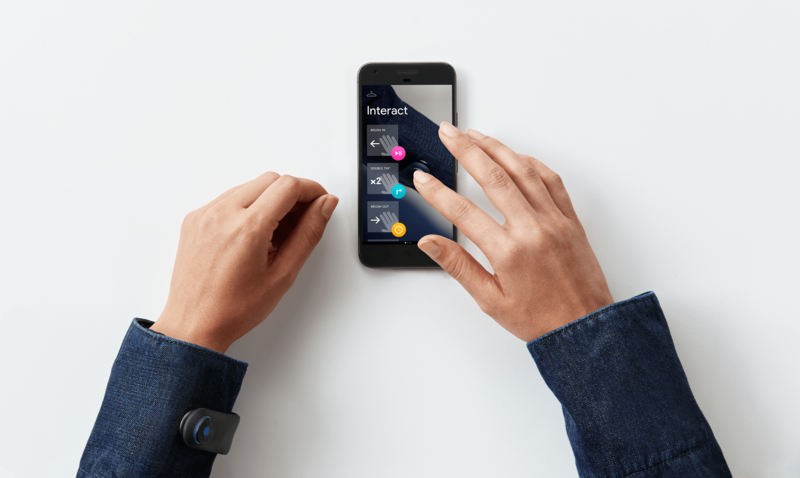 The purpose of the tag is to Bluetooth connect to the jacket and provide feedback to the user. 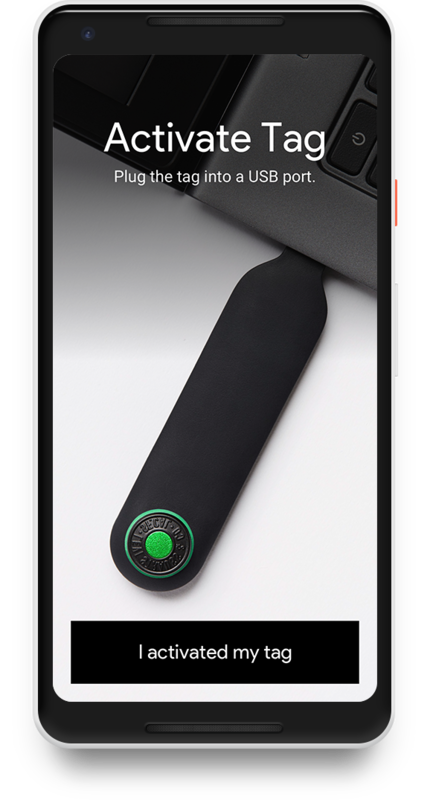 It consists of an LED indicator and a vibration motor. In early testing, subtleties in tag behaviors were difficult for users to grasp so it was important to keep the language consistent and the number of behaviors limited. In the end, we reduced the tag behaviors to a more understandable and memorable set. 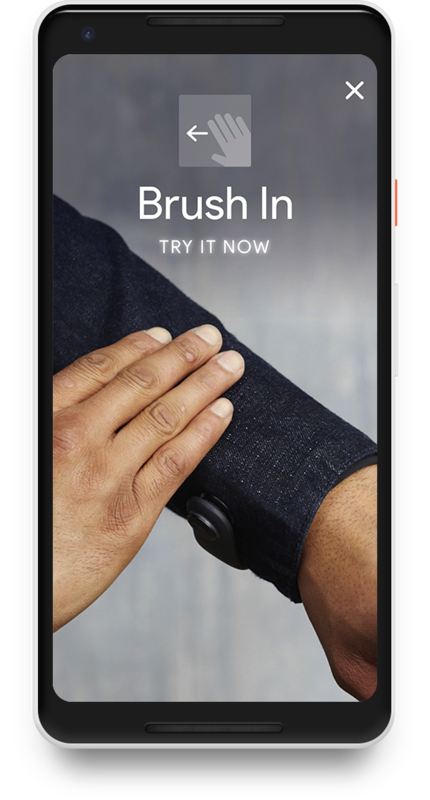 We teach users where the interactive part of the jacket is by prompting them to physically touch their left cuff. 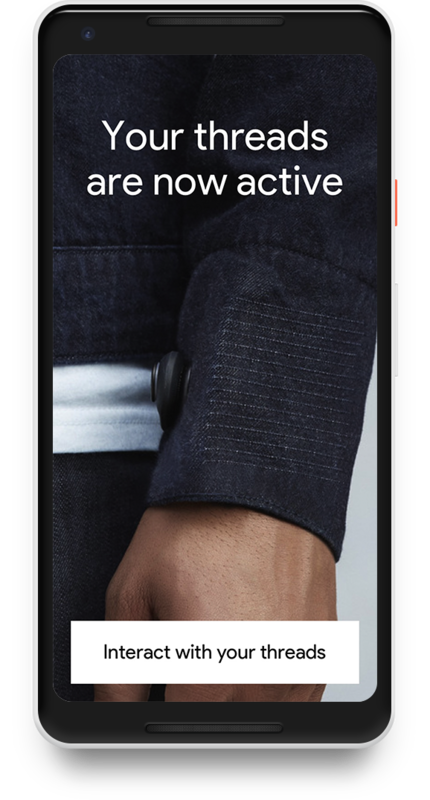 Doing so shows the input from the jacket reflected on the app in real-time. 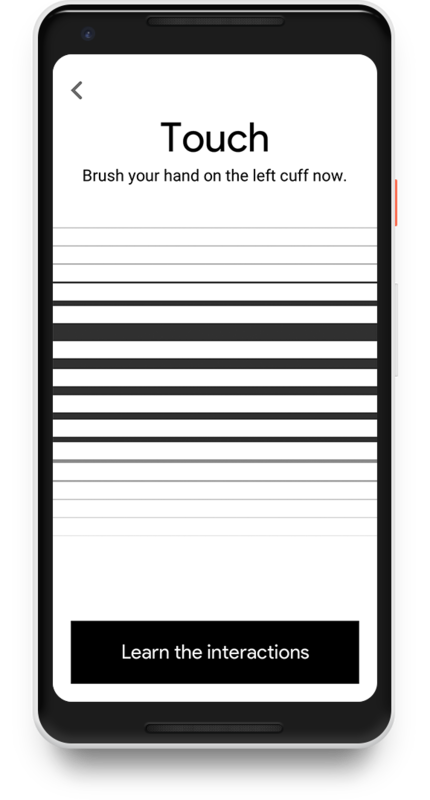 This step was crucial in helping users understand how the technology works. 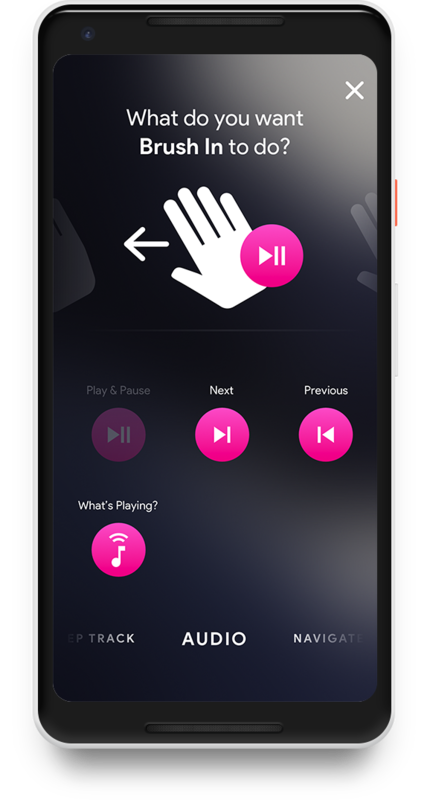 After multiple rounds of testing, we found that holding the user's hand through the gesture tutorial process was most successful. 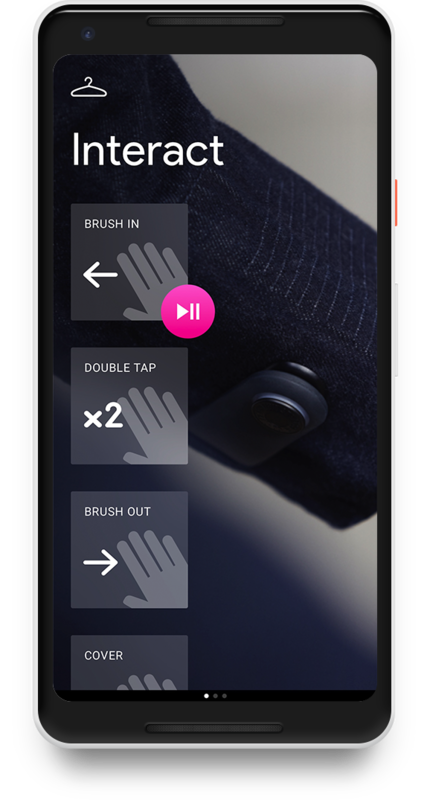 We use video to teach users the gestures for the jacket. Users must perform the gesture correctly as shown in the video to proceed. This flow is repeated for each of the four gestures. 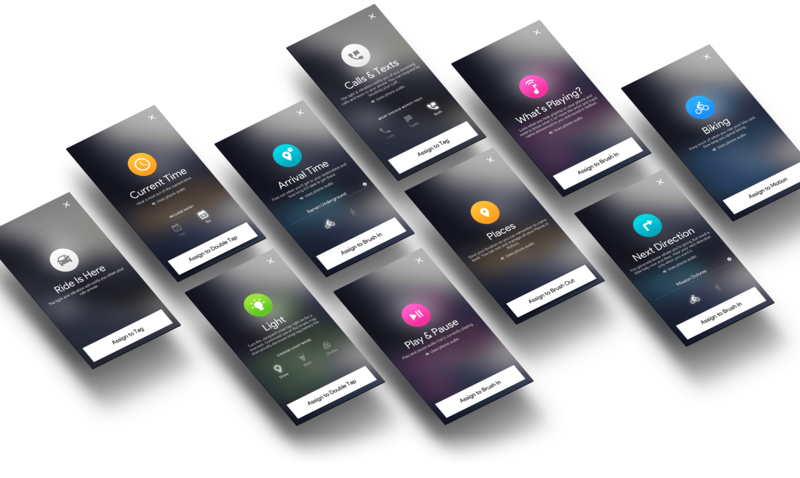 Abilities let you control messages, phone calls, navigation, music, and more. 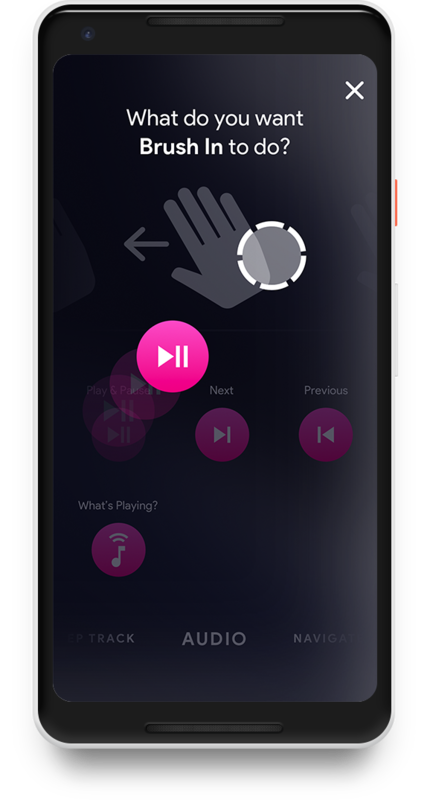 Users can assign and reassign abilities to gestures based on their needs. When an ability is assigned it shows up on the home screen so that users can see which abilities are assigned to their gestures. 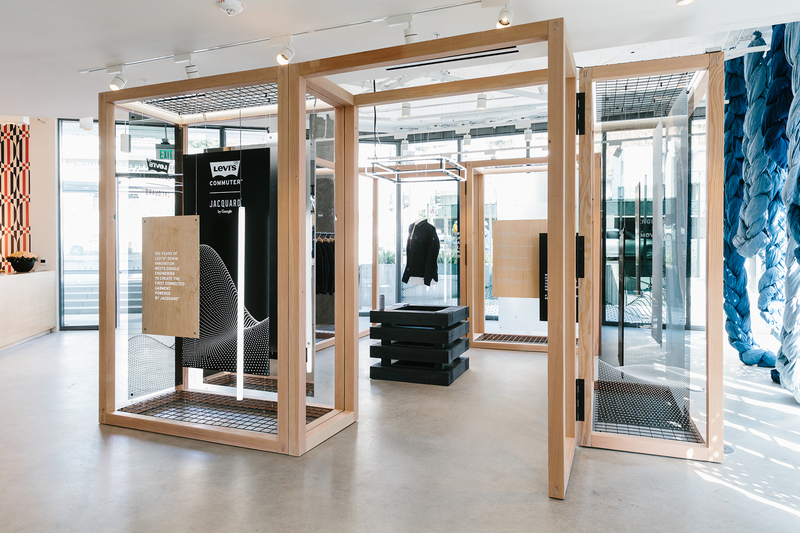 We collaborated with Levi's to ensure the packaging experience was cohesive with the digital one. 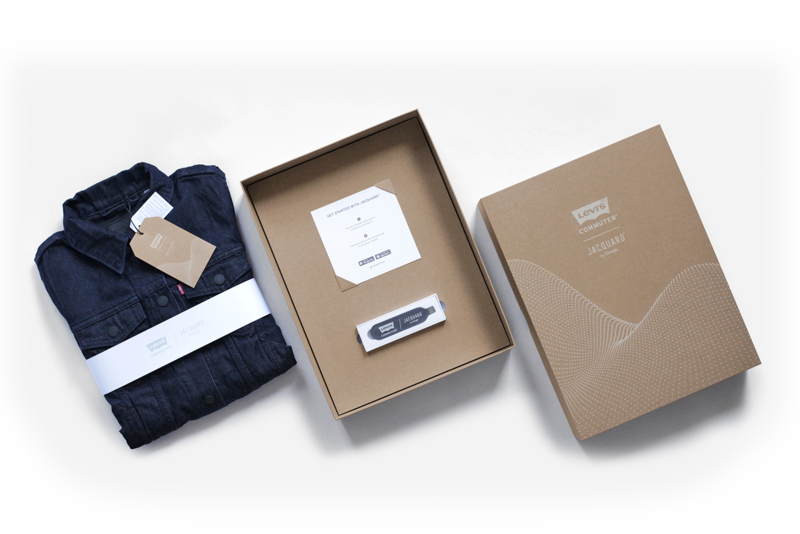 During unboxing, users get their jacket, tag, and a printed card communicating two easy steps needed to get started. 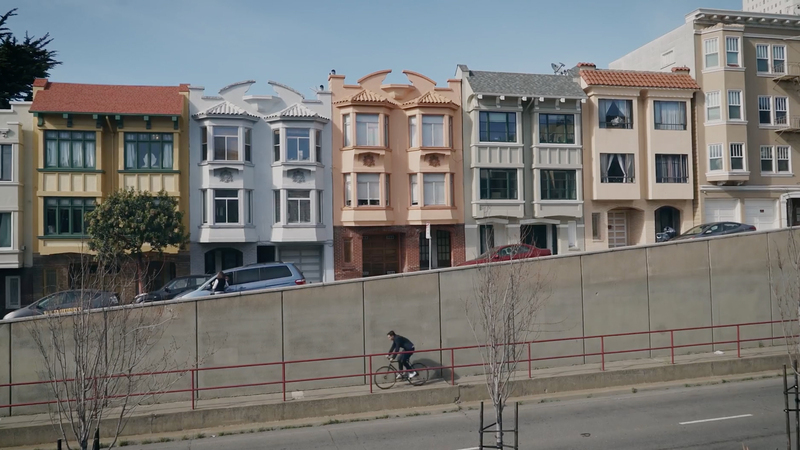 Our team user tested in San Francisco and Seattle and made improvements to the design where barriers were found. SXSW was an exciting moment for Jacquard. It was the first time we revealed the jacket to the public to demo for themselves. 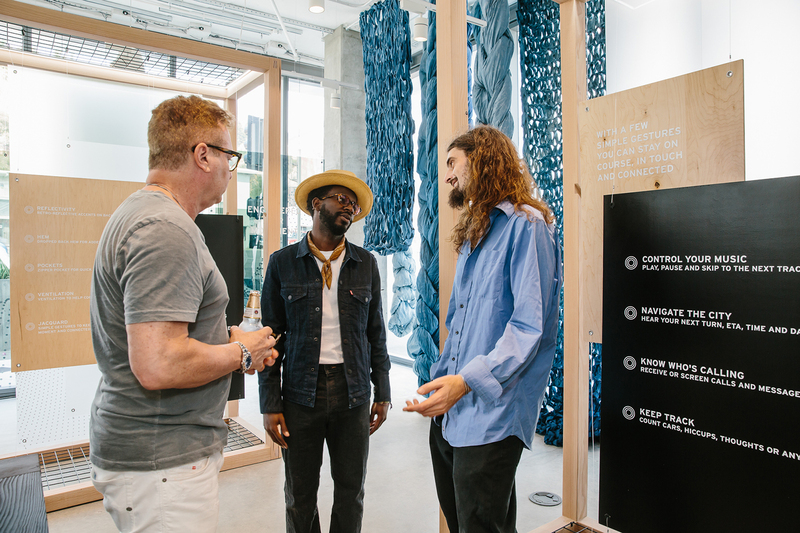 Our team was onsite at the Levi’s Outpost to educate and walk visitors through the experience. I performed demos, explained jacket features, and answered questions for SXSW attendees. 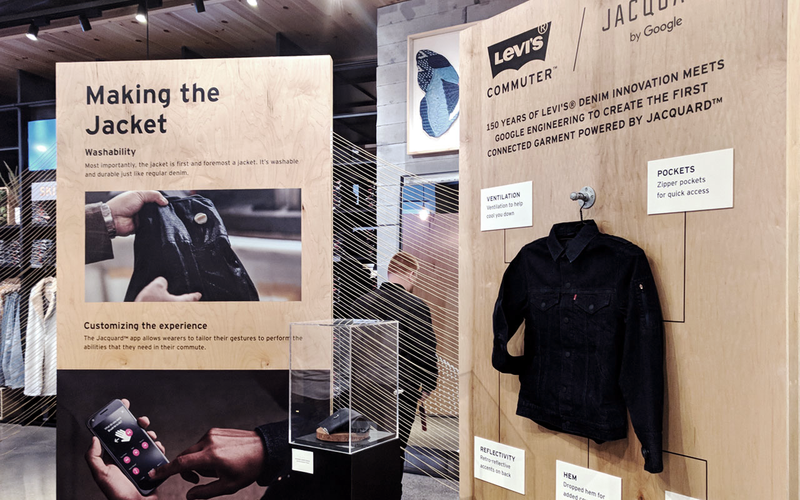 Our team launched the Levi’s Commuter Trucker Jacket with Jacquard in September 2017 with partner boutiques in LA, NYC, and Boston. We were onsite to support the launch, onboard customers, and answer questions. 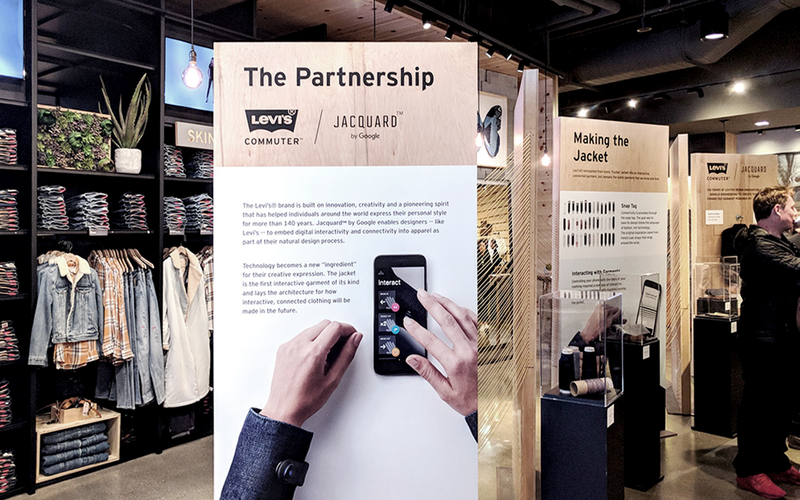 I designed the wooden panel installation for Levi's retail store on Market St. in San Francisco showcasing the jacket and Jacquard's story.